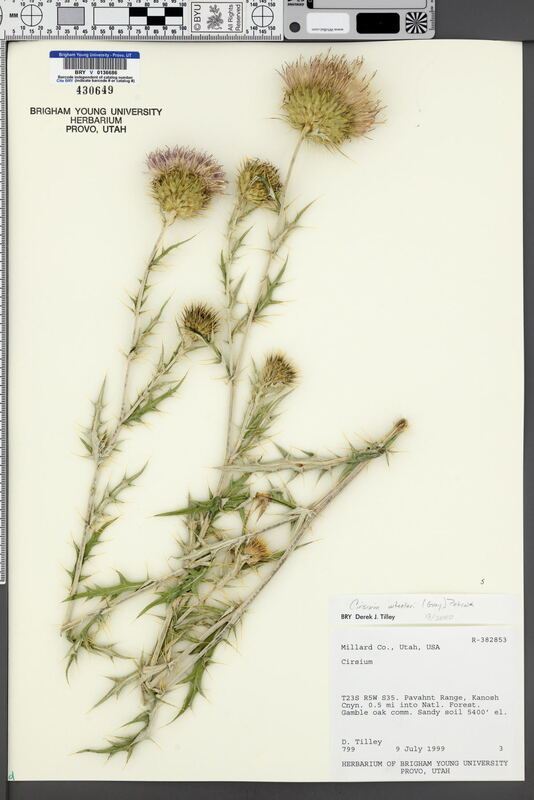 Taxon: Cirsium wheeleri (A.Gray) Petr. Locality: U.S.A., Utah, Millard, Pavahnt Range, Kanosh Cnyn. 0.5 mi into Natl. Forest. Verbatim Coordinates: 38.7674 N 112.38471 W ± 1127 m /// T23S R5W S35 . Habitat: Sandy soil. Gamble oak comm.